David is a kind, loving, patient and supportive man who has a great sense of humor and is a big kid himself. 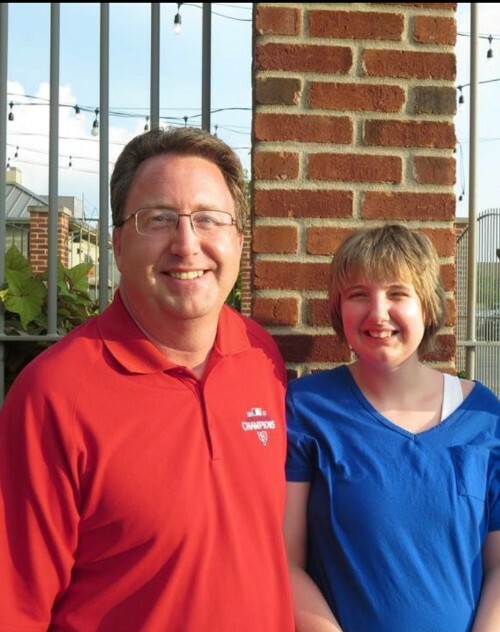 These are all great qualities that make up a great Dad but when you’re a dad of a child with developmental and intellectual disabilities, these are amazing qualities! David has been our family’s rock, as a husband and a father. David is a hard-working man who always puts his family first. As parents, we sometimes have to make hard decisions. One of the hardest decisions we’ve had to make concerning our daughter was to place her in a residential facility. It’s still a hard subject for David to talk about. As hard and scary as that decision was, it turned out to be the best decision we could have made for our daughter.